In 2011, AnyaDevi received certification to teach Traditional Thai Massage through ITM, Institute of Thai Massage, Chiang Mai, Thailand. Anya spent 3 years as an apprentice and assistant teacher under Janice Ganon, founder of Spirit Winds School of Thai Massage in Nevada City, CA. AnyaDevi is travelling again to Chiang Mai in November 2012 to study with Ajahn Pichest and other master teachers of Thai massage. Stay tuned for upcoming blogs of Anya’s travels. Anya Devi is a certified massage therapist who is devoted to her private practice with over twenty years experience. 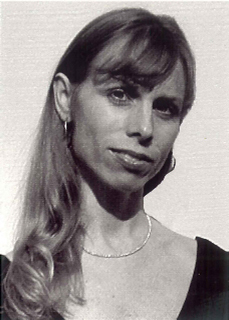 Her instruction began in 1989 with intensive training in Swedish & Deep Tissue massage at The Well-Being Center of Northern California. • In 1994 Anya traveled to Thailand, studying Traditional Thai Massage at the Old Medicine Hospital in Chiang Mai. Anya has received teaching certification in Nov 2016 in Chi Nei Djang by master teacher, Banjong Khun Ni of Chiang Mai, Thailand. • Anya Devi has since furthered her education in the arts of massage with Cranial Sacral Therapy, Reflexology and hands-on-healing. K. Pattabhi Jois and BNS Iyengar in Mysore. • In 1998, she received her yoga certification with Sivananda Yoga Center in Kerala, India. • Anya Devi is dedicated in facilitating healing and wellness for her clients. She values sharing the wisdom of yoga, as well as contributing and co-creating health and well-being for the Body Mind and Spirit.